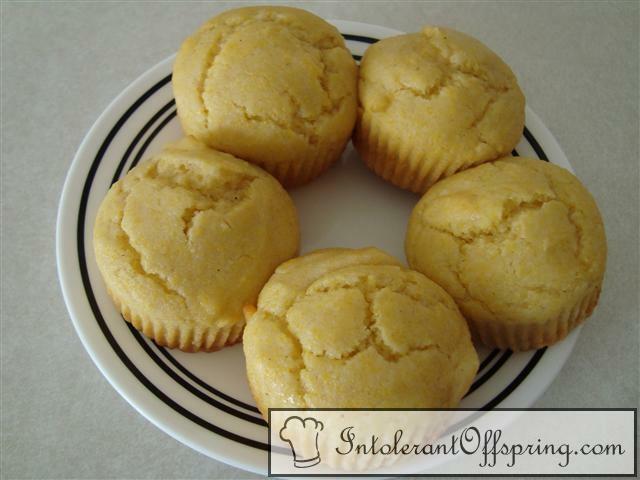 Combine flour, corn meal, baking powder, salt (and sugar if using). Stir in rice milk, oil, egg, (and honey if using). Stir just until all ingredients are moistened. Pour batter into 12 greased or lined muffin cups. Bake at 400 for 15-20 minutes or until golden brown.